We have had a fantastic autumn at the Migration Museum Project with three special events on top of all the great activity that has been happening in London, Leicester and Oxford around our 100 Images of Migration and Germans in Britain exhibitions. 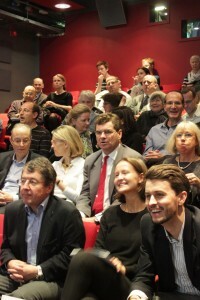 We were delighted to partner with CARA (the Council for At-Risk Academics) again to bring you two Great Minds events, and to work with our Distinguished Friend Lord Parekh to establish what will be our annual Public Lecture series in partnership with the London School of Economics and Political Sciences (LSE). 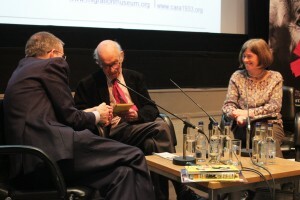 In October, Great Minds: Berlin to Britain brought our Distinguished Friends Lord Moser and Susie Harries together with playwright Carl Miller for a fascinating conversation at the Goethe Institut London. Lord Moser was born in Berlin in 1922 and came to Britain in 1936, and captivated the audience with his memories of the Berlin of his childhood and with his reflections on visits to Berlin since and more widely on the value of migration itself for Britain. Carl Miller adapted Erich Kästner’s Emil and the Detectives for the National Theatre’s 2013 Christmas Show, and shared his experiences of working with young Londoners to bring 1920s Berlin to life for today’s audiences. Visit our Video page to watch them in conversation with Susie Harries. 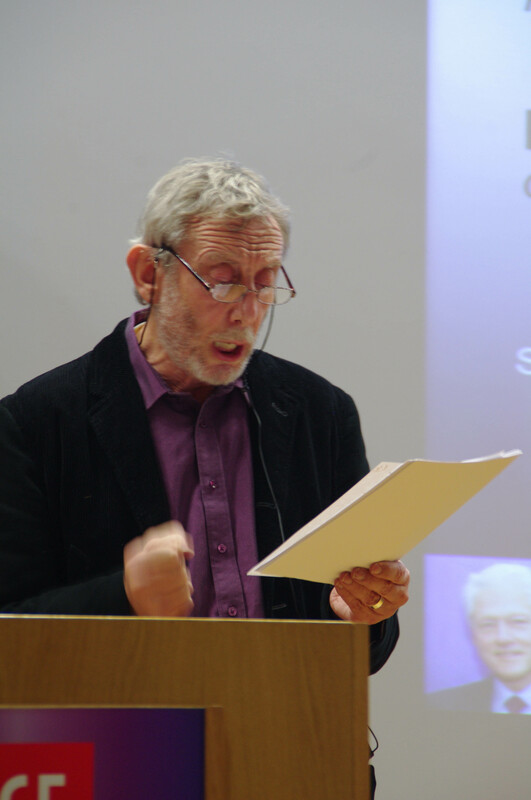 In November, Michael Rosen gave us plenty of food for thought – and a few chuckles – as he took us through his reflections and analyses on The Languages of Migration. Michael Rosen is a celebrated writer, poet, performer, broadcaster and Professor of Children’s Literature at Goldsmiths, University of London. You can listen to and read the transcript of the lecture on our Audio page, and you can read all about the lecture in a great blog by our Education Officer Emily. The transcript is also posted on Michael Rosen’s blog, where you can find other musings by Michael on migration, education and current affairs as well as great new poems. 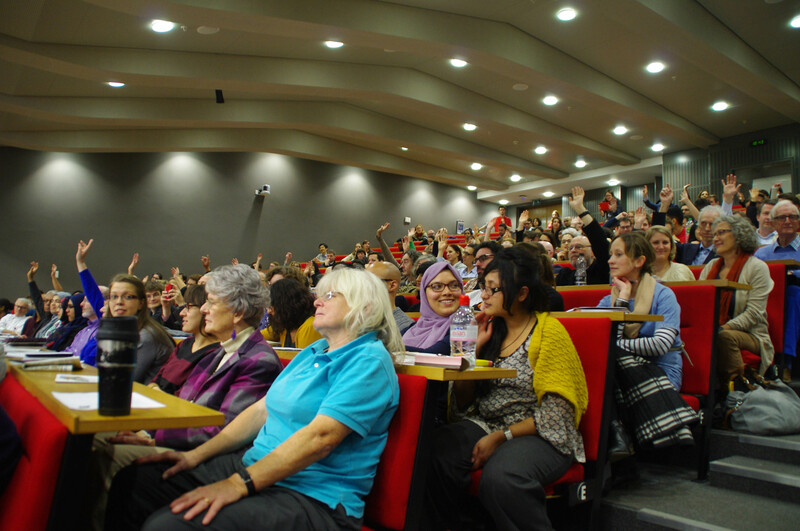 We look forward to working with LSE again in 2015 for our second annual joint Public Lecture. Many thanks to Lord Parekh for supporting this new lecture series. 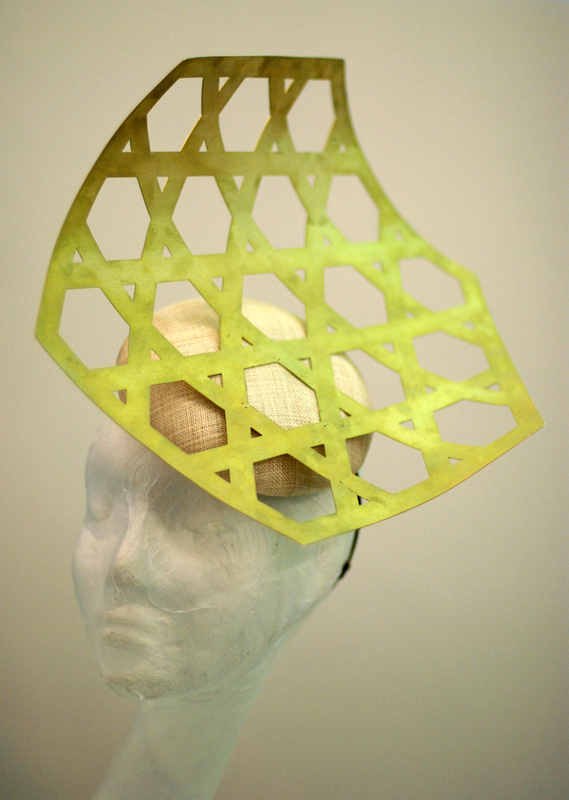 In December, we rounded the year off in style with Great Minds: Migration and Fashion. 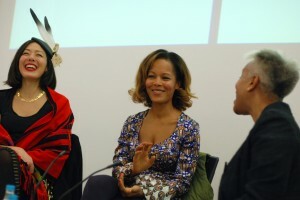 Milliner Awon Golding, fresh from London Fashion Week, and designer Hazel Aggrey-Orleans of the exclusive Eki Orleans boutique, joined Maggie Semple OBE of Semple: Women, Fashion, Stories to discuss how their personal journeys have shaped their work and identity as fashion designers. We were also delighted to be joined by Heba @ Brick Lane, OpenTheGate Handmade and Delores Oblitey who showcased work from their collections. During the reception, members of the audience then had the opportunity to share their own personal stories with oral historian Heiba Lamara and illustrator Sofia Niazi of OOMK Zine. We are looking forward to sharing the wonderful interview excerpts and illustrations with you in the new year – watch this space! Do visit our Facebook album for more fabulous photographs from the event. 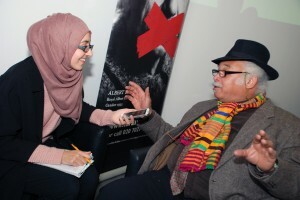 A video of the conversation will be uploaded soon.